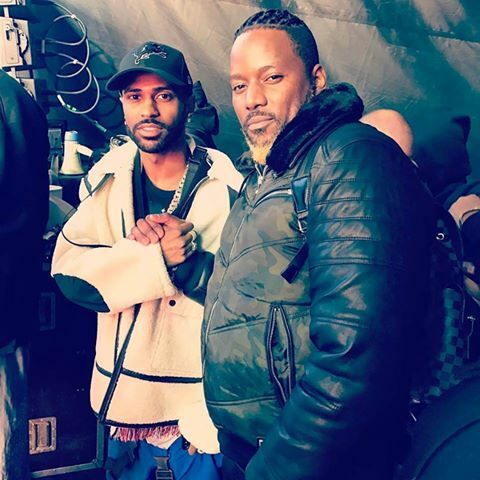 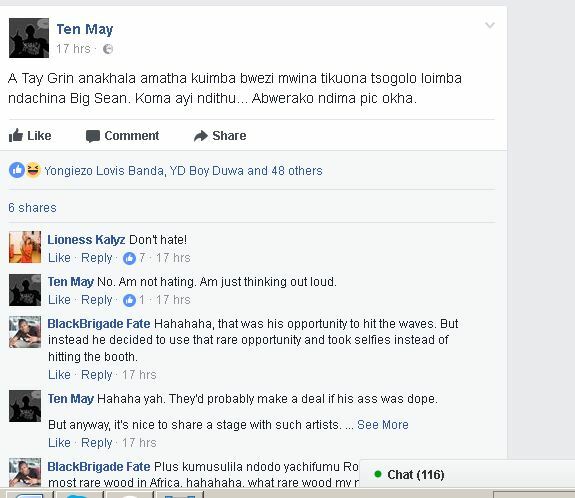 Social media went in complete pandemonium yesterday after Tay-Grin posted some pictures which he posed with some of US hip-hop artists at the Secret Solstice Festival event which the Nyau-King was also among other African artists invited to perform at the event in Iceland. 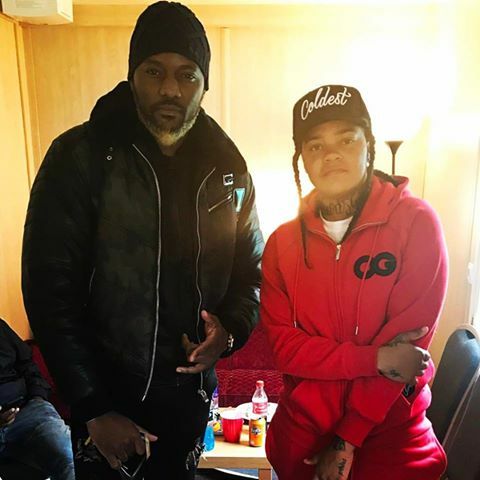 Among the American artists, Tay posed with Rick Ross, Big Sean and young MA. 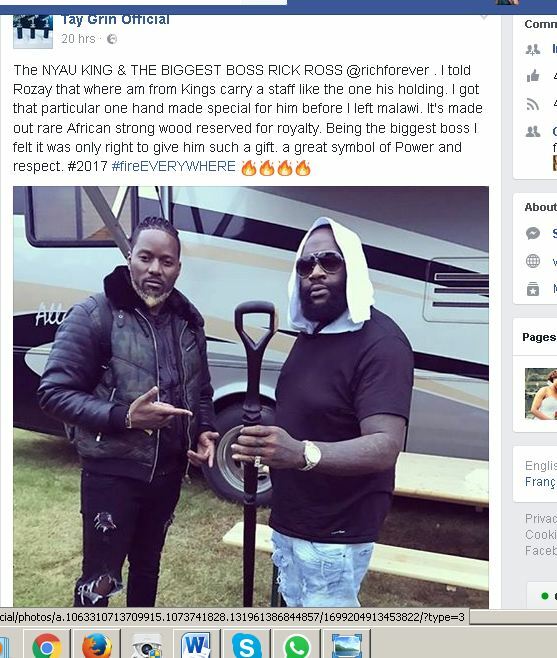 Grin revealed online that he had brought with him a gift to Rick Ross which was a special wooden stick made in African which Kings like Rick Ross deserve to be carrying as a sign of royalty, power and respect. 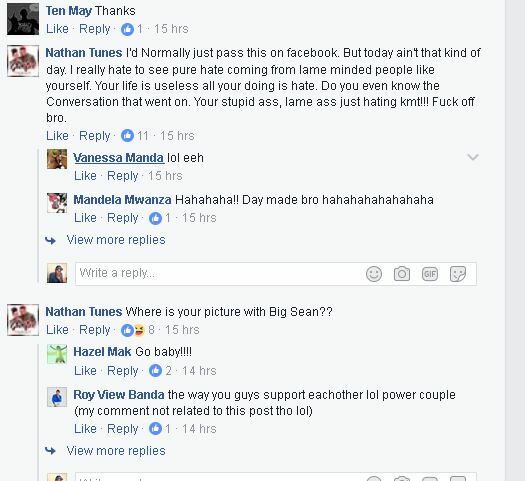 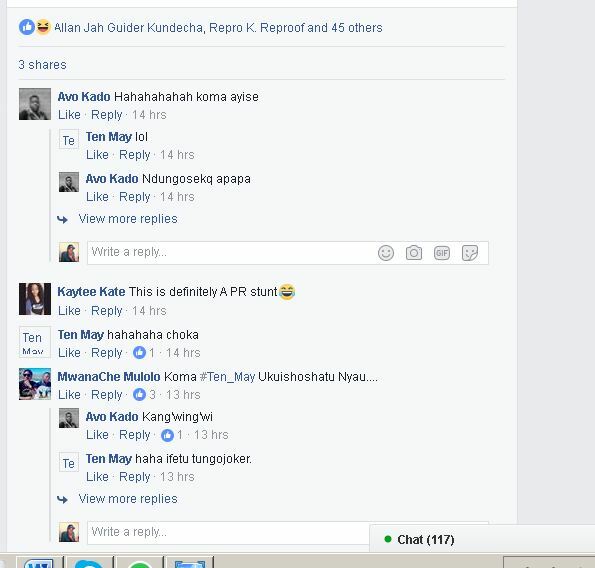 However, minutes after posting the photos, online people had already started reacting that led to an argument between Nathan Tunes who also was at the event and a Facebook user with a name Ten May. 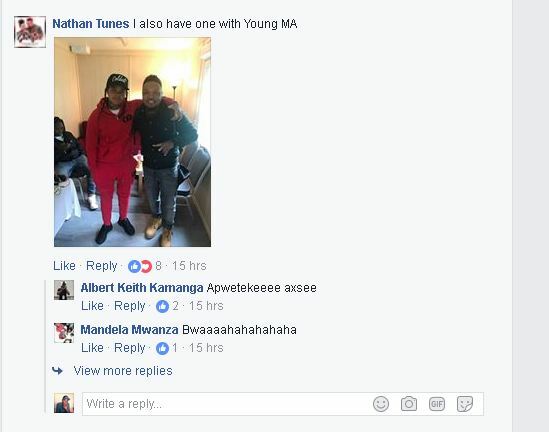 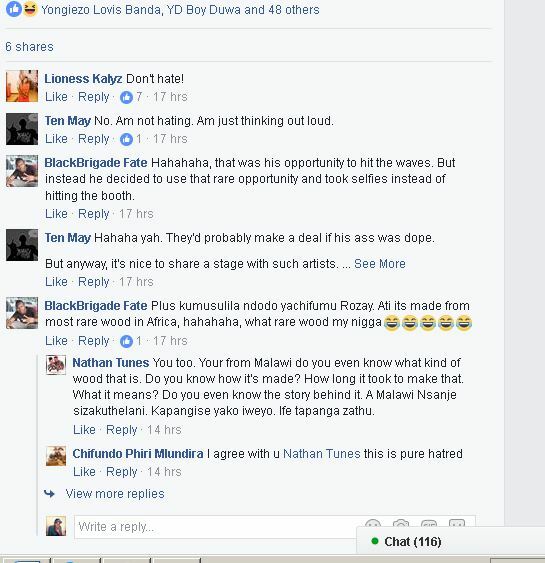 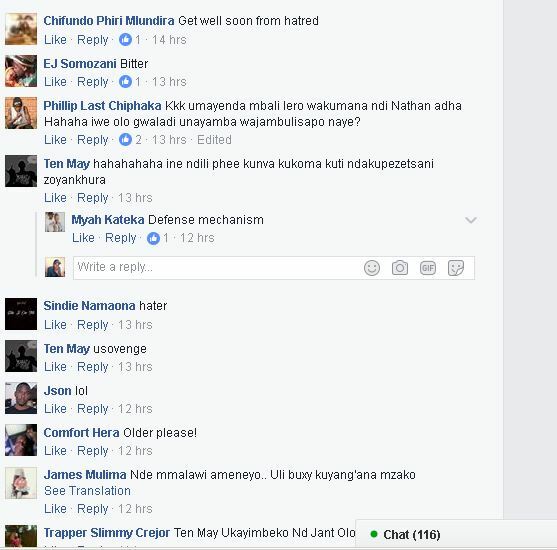 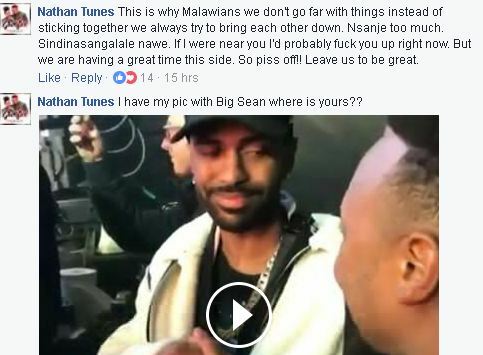 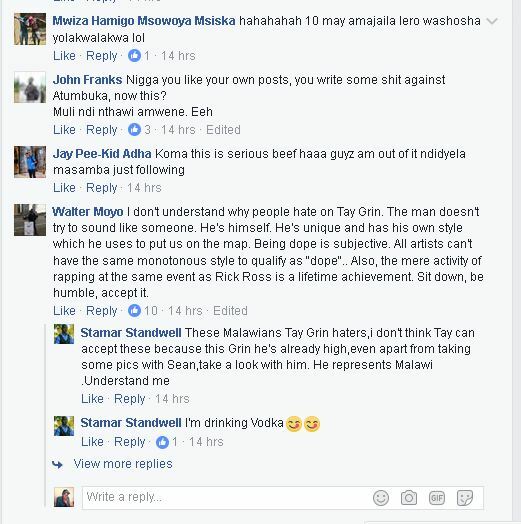 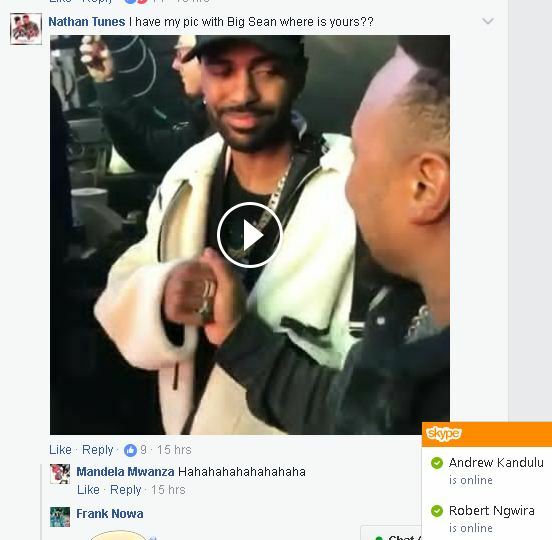 Ten May posted the below status that led to a whole disagreement and it received many likes and comments by some Malawian artists like Third Eye and Hazel Mak who Is also in a relationship with Nathan Tunes.